Please note we can not offer any support related to this article unless you are a customer of ours or have a project with us in the works. You’re welcome to post a comment and we will at times respond to those. Thank you for understanding. 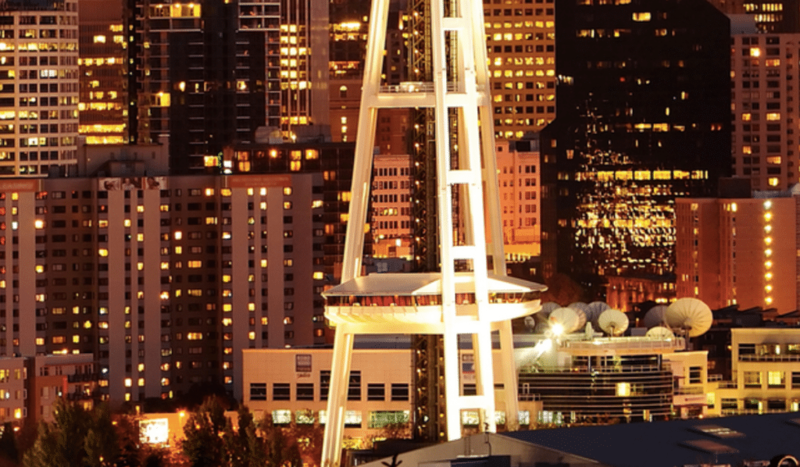 Does your photo need resizing for a larger print? Which software is best? Get a look at our machine learning, AI resizing solution in this new article. 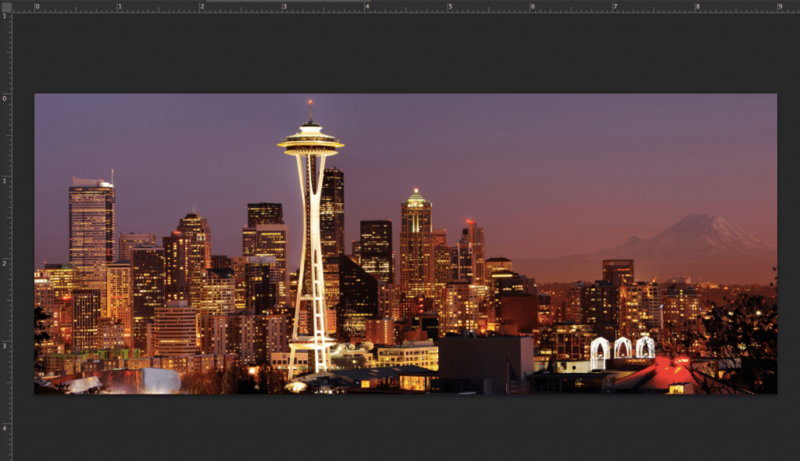 Check out our image resizing article here! Over the years we have found that most customers aren’t aware they can view their images at actual print size in photoshop and if they are, they aren’t doing it properly so that’s the basis for today’s post. There are a few steps to calibrating Photoshop properly so that the view you see when going to View — Print Size is the actual print size. 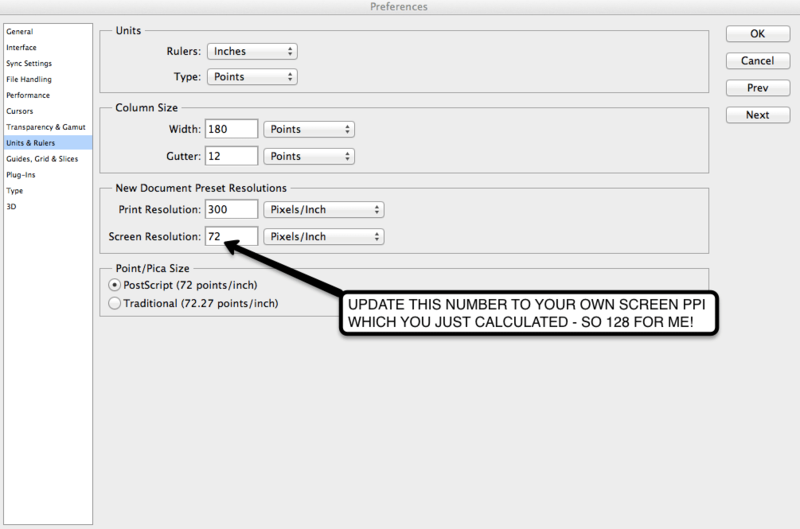 If you simply go to View — Print Size it’s going to show you the image zoomed in to your print size, but based on the default screen resolution within Photoshop of 72 ppi. You will need to find out what your screen resolution is and make the change in the Photoshop settings which we’ll get to in a bit. Sample Image Showing Print Size of 9×3.5″ at Screen Resolution of 72 PPI. Notice how small it is and you’ll find in this case it actually zooms out rather than in. That is the first clue something is wrong! Sample Image Showing Print Size of 9×3.5″ at Correct Screen Resolution of 128 PPI. Your screen resolution may differ from mine but most will most likely be in the 120-130 range. 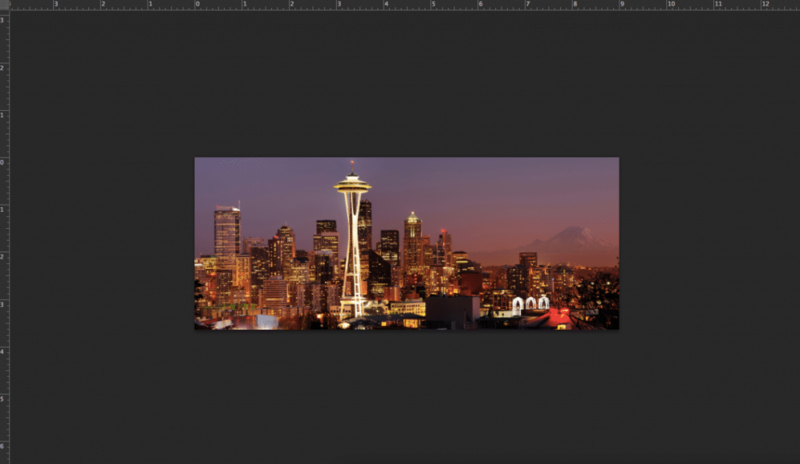 Below is a screenshot of Photoshop previewing the image at actual print size correctly. So there you have it! You can see what a big difference it makes when Photoshop isn’t properly calibrated to view at print size. 1. 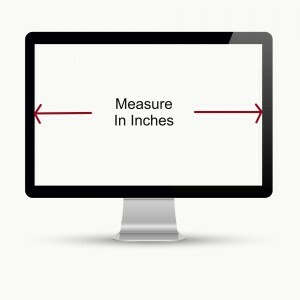 Measure your laptop/pc screen horizontally in inches. Just the screen itself. 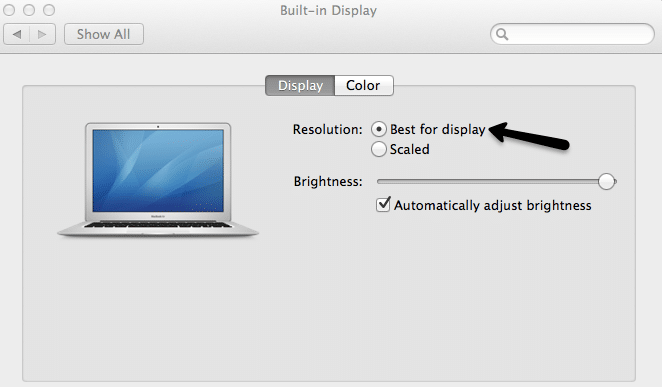 For example, on my Macbook Air the horizontal measurement is 11.25″ across. 2. Make sure monitor is in native resolution. 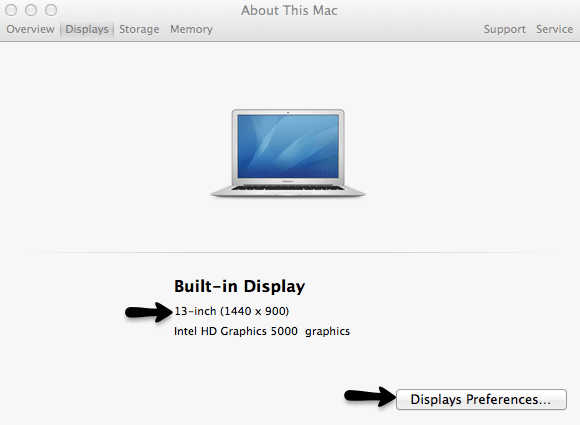 On most PC’s you can right click on the desktop to get to display settings and on the Mac you can go to Apple Icon (upper left) — About This Mac — More Info. This will display your screen resolution in pixels (image 1). On my Macbook Air you can see the screen resolution is 1440×900 and if you click Display Preferences on that screen you can change the screen resolution. You want to leave it in its native default resolution which is “Best For Display” or 1440×900. 3. Now do the math. Now that you know the length of your screen horizontally in inches (in this case 11.25″) and the number of pixels horizontally (always first number in pixel dimension so in this case 1440) to determine your screen PPI or pixels per inch. So divide 1440 pixels / 11.25 inches = 128 pixels/inch (PPI). 4. Update PPI setting in Photoshop. Heading down the home stretch here .. Find your “Units & Rulers” section. Depending on your version and whether you’re on a PC or Mac it will either be under Photoshop – Preferences or Edit – Preferences. You will see the screen below or something very similar. Next to “Screen Resolution” simply put in the PPI you just calculated for your monitor which in my case was 128. Hit save and you’re done! 4. Open a photo in Photoshop if you don’t already have one there. 5. 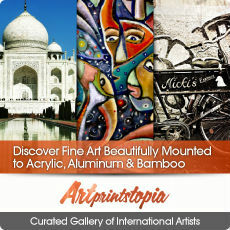 Change your print size and view at print size. To view the current print size and/or change it just go to Image — Image Size and make sure it’s in inches as shown in the below screenshot. 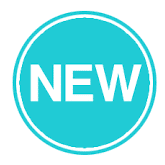 You can change to the print size you want then go to View – Print Size and it will zoom in so you can see how the image will look at actual print size. 6. Verify everything is correct. 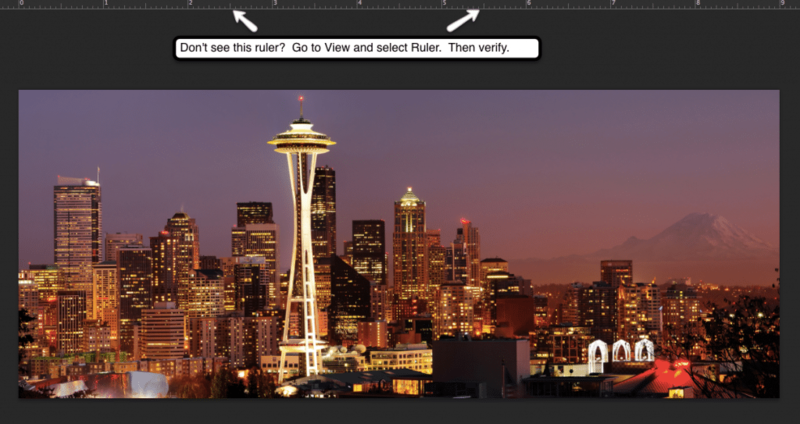 If you don’t see the Ruler at the top, enable it by going to View – Rulers and selecting it. If everything is setup properly (and you are viewing at print size), the ruler you have there in photoshop should represent a real inch. Get a ruler or tape measure and make sure and inch is an inch! If so, well done! Now you can begin viewing all your photos at actual print size in any print size. 7. Generally speaking how large can I print? That’s a question we get several times a day and it’s not an easy answer since there are quite a few variables involved, the most important being the quality of the camera. It’s also important to know that artificially resizing an image in Photoshop will not improve print quality much if at all (at least not that the eye can see). What matters are the native pixels off the camera. Taking this image as an example and assuming the native pixel dimension is 2722×1102 (which it is), we’ll start viewing the print at 100 PPI to see how it looks. So in this case about 27×11″. It was taken with a quality camera and I see it looks really good at 27×11″ so I’ll go another 5″ or so to 32×13″ and it still looks real sharp at 85 PPI. This is typically about where we might see resolution issues even with quality cameras. However, this particular image enlarges really well and can be printed at high quality at 37 – 40″ even though PPI is quite low around 70. Here is a screenshot showing a portion of the image at 40×16. It’s unusual to print at PPI below 85 or so, but the point is that the quality of the camera is huge. 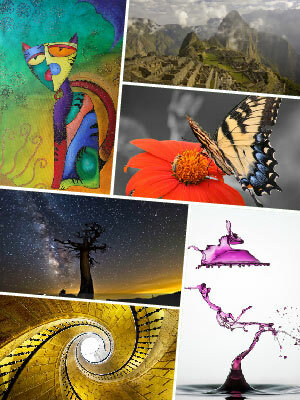 You won’t be printing most iPhone photos below 100 PPI. 8. Don’t degrade your images – edit as RAW or TIFF. Be sure to do all your editing as RAW or TIFF and only make a final save as a JPEG. JPEG’s are great because they’re easier to move around (much smaller file = faster upload to us!) and there is no visible loss in quality when printing. Just remember that only the final save should be as JPEG since each edit and save as a JPEG will degrade the quality of the image. . However, if I do the math 1680 / 20.5 = 81.95 px/in, which is far from the real answer. I did what you explained. 227 is my resolution. But when I give print size it showing exactly double the size. why it that? Hi Mejo, the image size you have set in inches should match exactly the ruler at the top of the screen. If not there is a miscalculation somewhere or setting missed. If you contact us through our support channel we can look into it specifically for you. Mikhail, 82 is correct in this instance. You can plug it in to the photoshop screen resolution setting and then verify it’s correct by making sure the photoshop ruler represents a real inch.